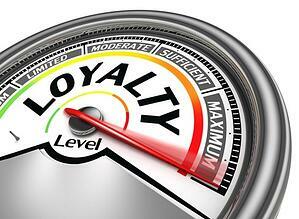 Loyalty programs aren’t just for B2C markets any more! They’re also an excellent way to incentivize partners in your indirect sales channel, building loyalty and engagement among their sales staff and helping to collaborate on opportunities to accelerate sales. Remember, keeping mindshare among your partners is critical for inspiring them to promote your products & services ahead of other vendors they may also be representing. And in an environment where increasing numbers of businesses are looking towards the indirect sales program, that means it’s becoming increasingly important to find ways to differentiate yourself. A loyalty program can do a lot to keep your existing partners happy, while acting as a nice recruiting tool for bringing new partners on board. The most important thing to focus on here is thinking of your partners as customers (which they are in many ways) and looking to craft loyalty-building programs which meet their needs and desires. Just as in the B2C realm, the best loyalty-style B2B strategies are intensely buyer-focused. The more the program appeals to your partner executives and/or sales staff, the more likely it will be to influence their own business decisions. It often ties business decisions to what amount to contests. Shouldn’t your decisions in what discounts to offer, or sales-percentage calculations, be based on more tangible information? They can easily create resentment among individual sales staff, or even entire partner businesses, if there’s a perception that the competitive playing field is too uneven or the same partners win consistently. Most incentive programs only focus on closing business. While sales is usually the ultimate goal, it is a lagging indicator of other important metrics of partner engagement. Generating new leads, participating in marketing programs, and completion of training programs can be much more effective leading indicators of future success. So, businesses are looking to find better ways to incentivize their sales partners, and loyalty programs from other sectors can provide a significant source of inspiration. There's no doubt that achieving these objectives are not easy. And you'll need a technology platform to help manage various targets, partner types, budget, and more. Blackhawk Engagement Solutions wrote a great piece on this very topic last week. With that in mind, here are some suggestions for loyalty programs and incentives that have been shown to work in B2C, and can also be effectively repurposed for use in a partner/vendor relationship as well. Sometimes, the cheapest solutions are the best. Social Badges are one of the hottest new ideas in both B2C and B2B loyalty programs, because they’re absurdly inexpensive to implement and yet quite effective. Simply put, Social Badges are award graphics given out based on certain accomplishments, achievements, or other pre-set criteria, which are designed to be easily displayed on a person’s social media feed. There’s an interesting psychology at work here, since it might seem counter-intuitive that a partner would put in a lot of effort for a value-less prize. However, they can be great additions to people’s LinkedIn profiles or other job listings, a flashy way of quickly communicating their own excellence in the workplace. Also, that they are without monetary value means that there’s far less resentment among those who haven’t earned them. A good social badge program has a wide range of badges, ranging from the mundane (“Your First Sale!”) to the nearly-unobtainable. It allows everyone to win a little, and feel a sense of progress as their badge collection grows, while always having new goals to shoot for. To some, “gamification” is a dirty word that represents how dumbed-down and\or extrinsically-focused rewards have become. However, the reality is that video games are now truly mainstream, and there’s a fair chance that any partner employees - particularly those under 40 - are deeply influenced by game-style systems. Gamification is particularly useful in training\learning programs. Rather than simply having dry multiple-choice tests, more creative game-style assessment systems can (ironically) encourage partners to take ongoing training much more seriously. This can be accompanied by aspects such as “high score” tables which allow employees across multiple partners to compare their scores with each other. It works in B2C, it works in B2B, and it works in indirect sales as well. Referral bonuses to partners or their staff who tell other partners about you and help bring them onboard are increasingly popular. These can be particularly effective for sales ecosystems in the Scaling Phase of growth, where bringing quality partners onboard quickly is a top priority. Given how interconnected the business world has become through social media, it’s now not that uncommon for partners to get referred in the same way customers can be. The reviews a partner receives online through systems like Yelp, Google Local, and similar public-review setups are more important today than ever before. Not only are they extremely influential on buyer behavior, they can also significantly influence online marketing efforts based around SEO. Google, for example, gives very preferential treatment in search rankings to businesses with 4.5-star and higher ratings within Google Local reviews. That makes online ratings an excellent area of competition and reward among your partners. Track their ratings on the online review systems utilized by your target markets, and have rewards, badges, or other incentives in place to highlight those who consistently receive high marks. This really only scratches the surface of how a smart vendor can implement programs that encourage loyalty and engagement among partners. This field is wide-open for innovation, and those vendors who can come up with the most creative incentive solutions are likely to reap the benefits with more and better partner support.